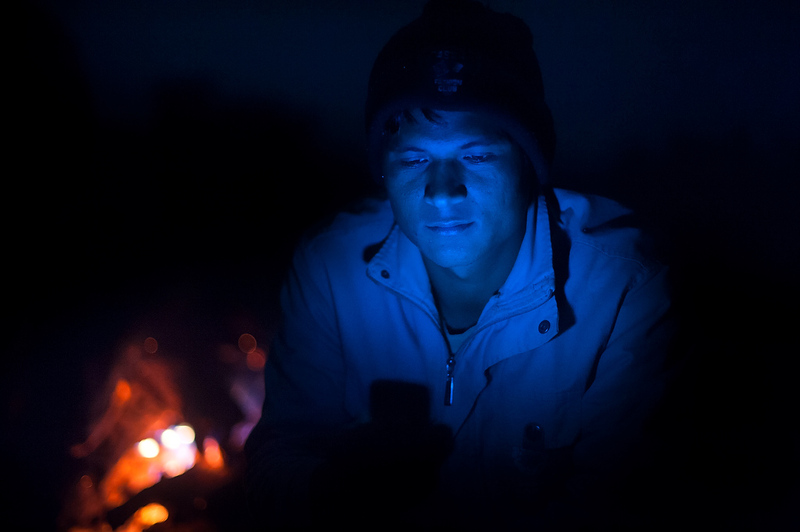 Mahout Raju Choudhary checks his mobile phone during the dinner at the mahouts quarters in Chitwan. Once a week he talks to his family which lives some 120 km away from Chitwan. With the wages not exceeding USD 15 per month, mahouts and their families live on the brink of existence.